About a twenty-mile drive west of Rochester, MN is the town of Kasson. This small community sits along Highway 14 in Dodge County, with approximately 6,000 residents counted as part of the Rochester Metropolitan Statistical Area. 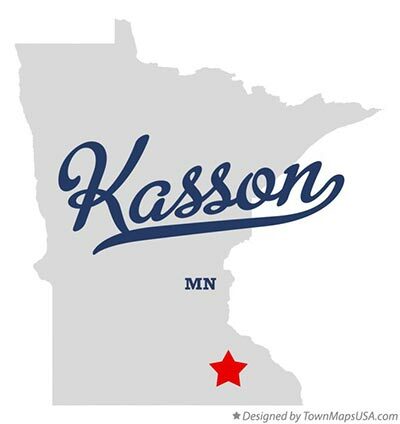 The plat for Kasson was recorded in 1865, much like other towns and cities in the area - including Rochester, MN. Kasson experienced slow but steady growth throughout the years, maintaining a small-town feel compared to the nearby big cities. Trees line the boulevards and parks, and recreational spaces are common sights as you travel through Kasson. Kasson's rural feel carries into community events, with the Festival in the Park being a summer highlight. This includes a parade, fireworks, an eating contest, and even a belly-flop contest, all as part of the celebrations. Residents of Kasson are proud to support their local school and are “big blue” Kasson Komets fans. Additionally, with their incredible Performing Arts Center, Kasson students create and produce incredible theatrical productions which are open to the public to experience. Babcock Auto Care is happy to serve Kasson with personal auto repairs and service. Our team members echo the sentiment of this close-knit community with friendly, honest service. We use state-of-the-art technology to diagnose every concern, along with industry-leading repair methods for safe and accurate repairs. We are conveniently located just 20 minutes east of Kasson, along 55th St. NW in Rochester.